This is the end of the thirty first chapter Of the book of Kishkinda of the holy Ramayana composed by Valmiki as the first epic. This is the end of the thirty second chapter Of the book of Kishkinda of the holy Ramayana composed by Valmiki as the first epic. This is the end of the thirty third chapter Of the book of Kishkinda of the holy Ramayana composed by Valmiki as the first epic. 34.Lakshmana angrily shouts at Sugreeva. This is the end of the thirty fourth chapter Of the book of Kishkinda of the holy Ramayana composed by Valmiki as the first epic. This is the end of the thirty fifth chapter Of the book of Kishkinda of the holy Ramayana composed by Valmiki as the first epic. This is the end of the thirty sixth chapter Of the book of Kishkinda of the holy Ramayana composed by Valmiki as the first epic. This is the end of the thirty seventh chapter Of the book of Kishkinda of the holy Ramayana composed by Valmiki as the first epic. Rama seeing the monkey army who were standing like Lotus buds in a pond , was greatly pleased. This is the end of the thirty eighth chapter Of the book of Kishkinda of the holy Ramayana composed by Valmiki as the first epic. In the mean while the rays of sun increased the heat of the earth and dust started raising in the sky . Then the monkey greats reached near Sugreeva in groups and saluted him in a proper manner. “ You please make yourselves comfortable by side of swift mountain streams and forests and after lodging yourself there Rama , who wants to know your strength would see and inspect you all. This is the end of the thirty ninth chapter Of the book of Kishkinda of the holy Ramayana composed by Valmiki as the first epic. When Sugreeva was spoken to like this he summoned a troop leader called Vinatha who was like a mountain and roared like a cloud and he told him in presence of Rama and the wise Lakshmana . This is the end of the fortieth chapter Of the book of Kishkinda of the holy Ramayana composed by Valmiki as the first epic. Then the monkey king gave them all an account of the inaccessible places to those monkey chiefs. There reside five Gandharwa kings named Sailusha, Graamani, Sigru, Subhra and Babhru who have the radiance like the Sun. It is a residence of meritorious people who glow like Sun, Moon and Fire. This is the end of the forty first chapter Of the book of Kishkinda of the holy Ramayana composed by Valmiki as the first epic. This is the end of the forty second chapter Of the book of Kishkinda of the holy Ramayana composed by Valmiki as the first epic. This is the end of the forty third chapter Of the book of Kishkinda of the holy Ramayana composed by Valmiki as the first epic. This is the end of the forty fourth chapter Of the book of Kishkinda of the holy Ramayana composed by Valmiki as the first epic. This is the end of the forty fifth chapter Of the book of Kishkinda of the holy Ramayana composed by Valmiki as the first epic. 46. Rama asks Sugreeva how he knows about all these places. This is the end of the forty sixth chapter Of the book of Kishkinda of the holy Ramayana composed by Valmiki as the first epic. 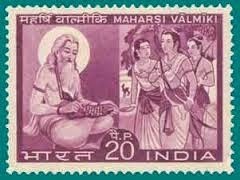 This is the end of the forty seventh chapter Of the book of Kishkinda of the holy Ramayana composed by Valmiki as the first epic.